﻿ Type“B”Tank - Business Scope - Gloryholder Liquefied Gas Machinery (DL) Co., Ltd.
We had started the R&D on IMO type “B” independent tank since early of 2015. One project team developed special “LGM-B” type independent tank after experiencing technical reserving, system design & optimization. It is fully applicable on fuel storage tank of commercial ships using LNG as fuel and cargo tank of LNG/LPG/LEG carriers. 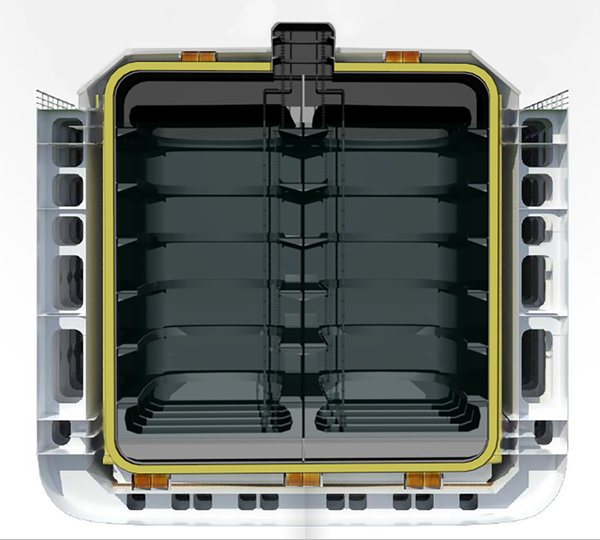 We have been approved in principle for “LGM-B” type independent type tank by DNV-GL in 2016. ● Independent tank with fully enclosed partial second barrier. ● Potential leaked liquid will be entirely contained inside of secondary barrier. ● Improving dramatically security and economy. ● Unnecessary for replacing the surround ship hull structures by cryogenic resisting material.